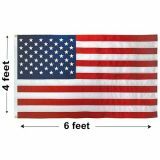 Nylon Outdoor US Flags – A Great Choice For Most Applications! Nylon Outdoor Flags are one of the most popular flag choices as it flies in the lightest breeze and offers the brightest colors with a slight sheen. Our U.S. flags are designed for consistent commercial level quality at a value. Being light weight, nylon flags will fly better and more often which will dry faster thereby reducing mildew rot which degrades the material. Shop from our collection of Nylon Outdoor US Flags. 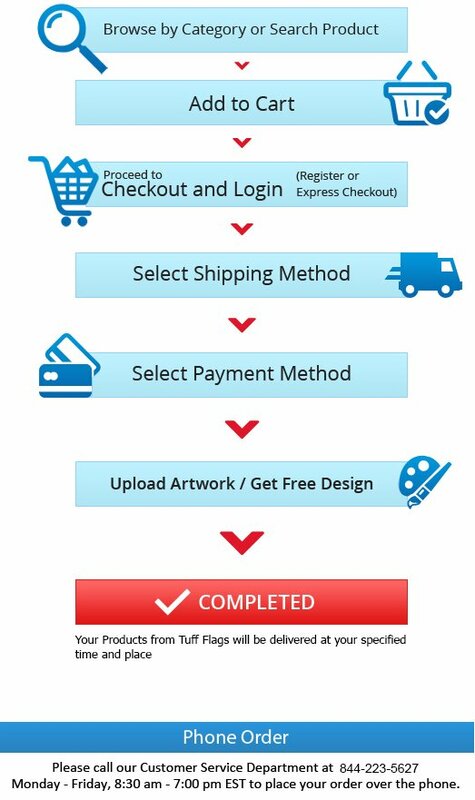 You'll find the best prices on-line, commercial grade products, quick shipping and many surprises intended to delight you and make you a customer forever! 100% customer satisfaction guaranteed! If you're unsure which fabric is right for you, please call us at (888) 287-3524 or email us at customercare@tuffflags.com. Our Nylon Outdoor Flags are made of 200 Denier weight - Type 66 Bright Dupont Solar-Max nylon fabric and features Dupont Color-Fast dyes that will retain its richness and brilliance even outdoors. We have a range of Nylon outdoor flags that range from the small 2’ x3’ to the staggering 30’ x 60’ and everything in between! 100% made in America, Nylon Outdoor Flags from Tuff Flags use the latest and best manufacturing processes in the nation and are sewn using a 1/4" needle gauge Uni-directional Chain Stitch and feature lock-stitching on all edge seams and vertical seams including the fly-end. If you are looking for a long lasting and richly colored flag that will create a dramatic display even in low wind or drizzle, then our nylon outdoor flags could well be the choice. 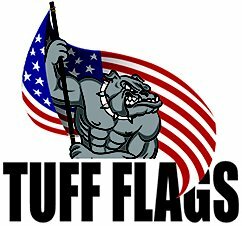 Browse our Nylon Outdoor Flags section to see our collection of nylon US flags and the best prices on the web or call us at (888) 287-3524 or email us at customercare@tuffflags.com.